Fall has officially arrived! I’m sipping my coffee wearing jeans and cozy sweatshirt, and I actually kind of love it. I live for summer, but I’m also ready for a new season. We are all desperately ready for some structure and schedule back into our lives, after months of casual summer days and camps. We spent the past weekend gearing up for a BIG week ahead. 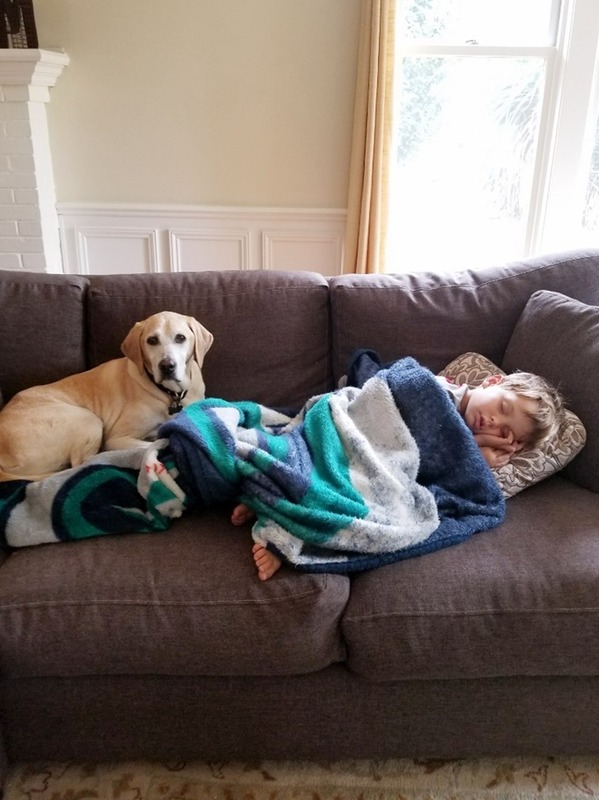 Both boys returned to school on Monday, so we kept the days before super low key, and allowed for plenty of rest and downtime. Graham took it very seriously. 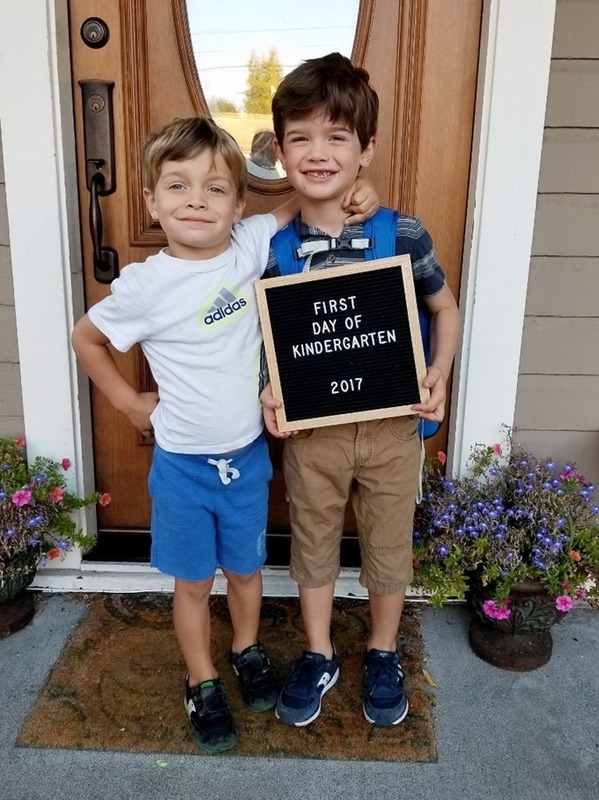 I’ve been super teary and emotional going into Cullen’s first week of school, so I wanted to do something special with him just the two of us. 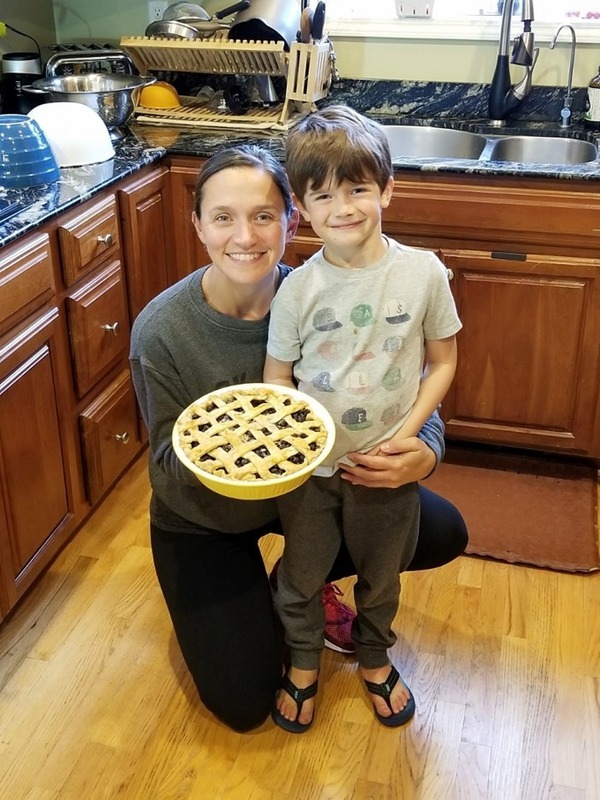 While Graham snoozed away on the couch, Cullen and I took the blueberries we’d picked on the farm last week, and turned them into a delicious pie! It was really fun, and he was SO proud of the end result. Messy edges and all. 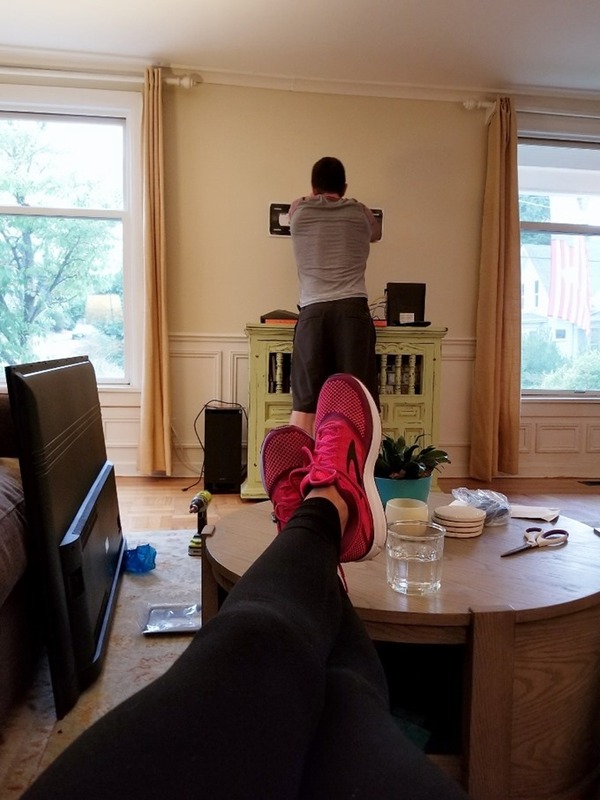 Also this weekend, Casey and I talked about doing some house projects as we head into “indoor season” aka the ten months where it rains every day. 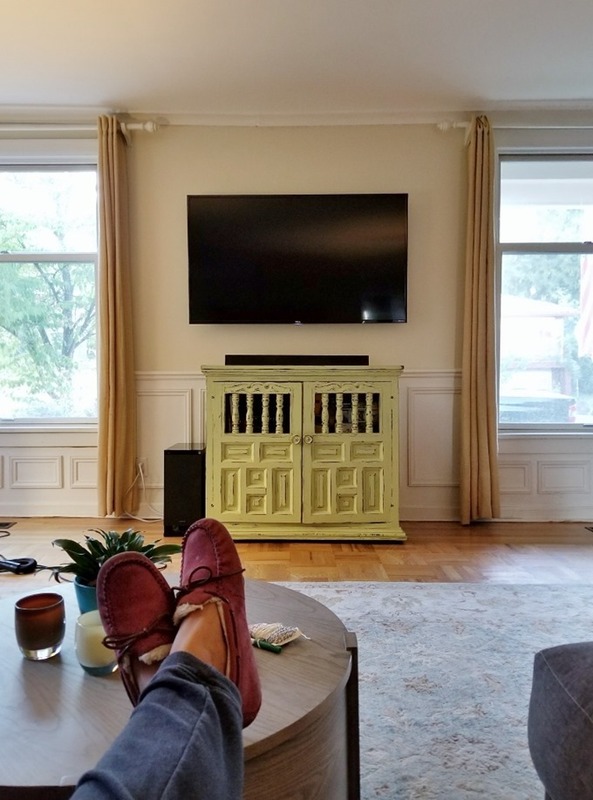 We have had our living room TV for close to ten years now, so we both decided it was time for an upgrade! Of course, this conversation was about getting a new TV and entertainment console as our holiday presents to each other, and Casey agreed that was a great idea. I assumed we’d shop around for a while to figure out exactly what we want. So clearly Casey was at Costco two hours later shopping for a new TV. After a lazy weekend at home, we were up early on Monday, and I had butterflies from the moment my alarm went off. 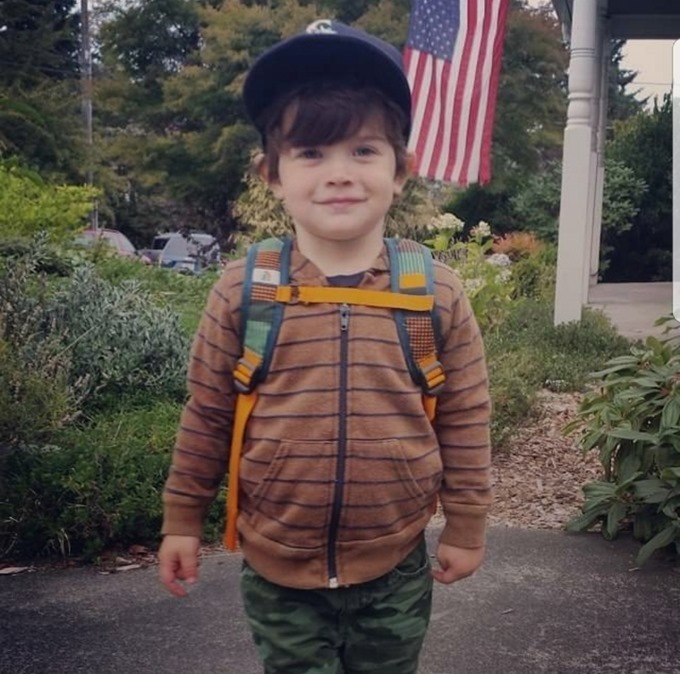 Of course TimeHop decided to crush my soul and put this into my feed – Cullen’s first day ever of preschool. Howwwww was this three years ago?? And just like that, it was time to head out the door to Kindergarten. Hold me. I know everyone says it, but wasn’t this seriously just yesterday? I can close my eyes and picture us in that Fremont apartment like no time has passed at all. I can feel those little terrycloth pajamas in my hands, and his warm chest rising and falling on my shoulder. It is so hard to wrap your arms around someone for five long years, and then to one day suddenly have to let go. But even though I might not have been, he was more than ready and that gave me a lot of comfort. Graham was SO proud of him, and was really excited to help see Cullen off on his next big adventure. I held it together the whole way to school, and even through drop off. And then as soon as I got home I cried for about ten minutes. It is such a mix of heartbreak and reward to see you babies grow up. The first day felt like an eternity, and I couldn’t WAIT to pick him up. He seemed to love it and has had good things to say all week long. I’m so proud of him, and the amazing little boy he has become! We are all adjusting to this new schedule and routine, and so far it’s been a great week. I’ve taken the week off workouts since our school schedule has shifted to being much earlier than before. I’m hoping next week we will really find a rhythm and settle in for the year ahead. I’m back to having a few mornings a week to myself, which is admittedly AMAZING. I feel much more organized and prepared throughout the day now that I have some focused time to get things done. Happy fall and back to school to you guys! Hope it’s been a great week! Next Post » Savannah Celebrations. Great photos as always. I LOVE the proud little brother shot. 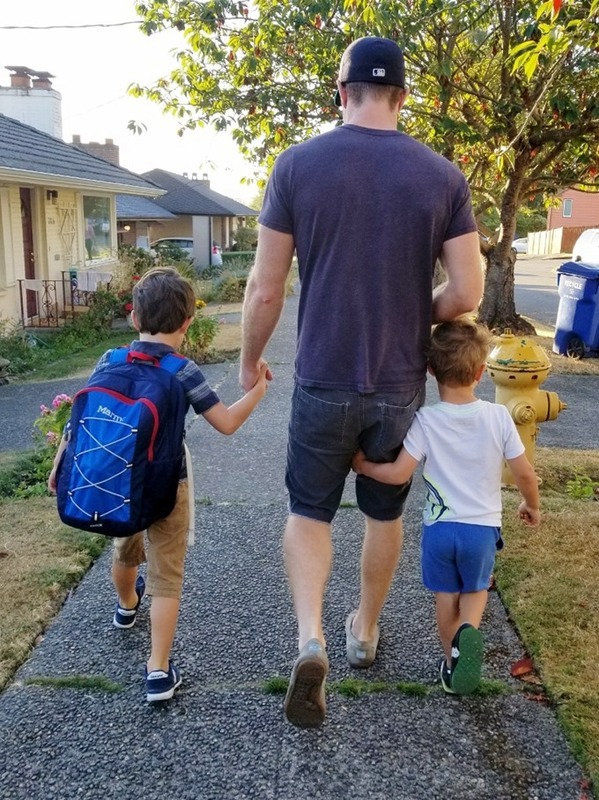 I’m glad your kids are off to a good start for the school year. Wow! Time sure does fly. I have been a longtime reader of your blog and can remember when they were both born. Even though I do not have kids, I can understand why you were so choked up on Monday morning – time goes by way too fast. Your post made me cry (happy tears). Very sweet. Thanks for sharing. 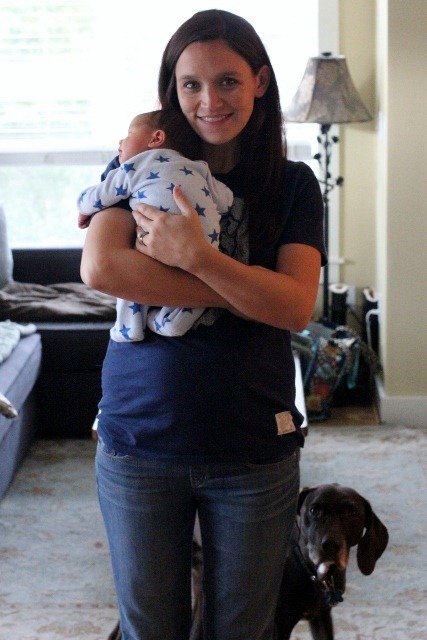 oh man- I can’t believe how big he is! I remember your weekly pregnancy posts with him! That picture of him and Graham! So sweet! Oh, Emily! This had me in tears. I remember your pregnancy update posts with Cullen. It’s so hard to believe he’s in kinder! I’m due with my first baby – my own little boy – any day now. This was a sweet reminder to savor every moment. It may be too wide for your space though. I like that it has drawers, but I can still style it. I just have to tell you – that picture with the boys walking with Casey and Graham’s little arm around Casey’s leg is everything. I hope and pray for my own version of that view one day! 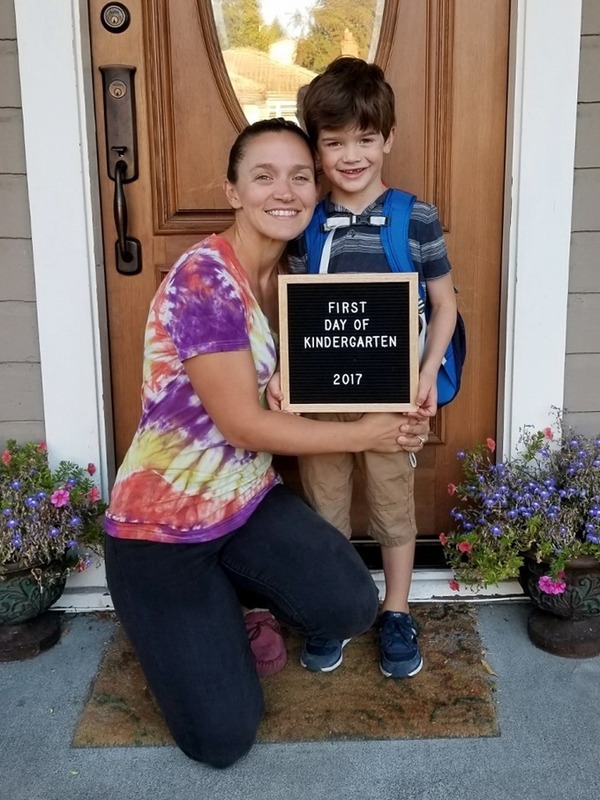 Um, how is your first born in kindergarten!??! I have been reading your blog before he was born!! Crazy how time flies! I love this time of year, for me it signifies that I can back to a schedule and do more baking/cooking! That picture with Graham dangling in the background is hilarious! My little man started 1st grade last week, and I still can’t believe it! 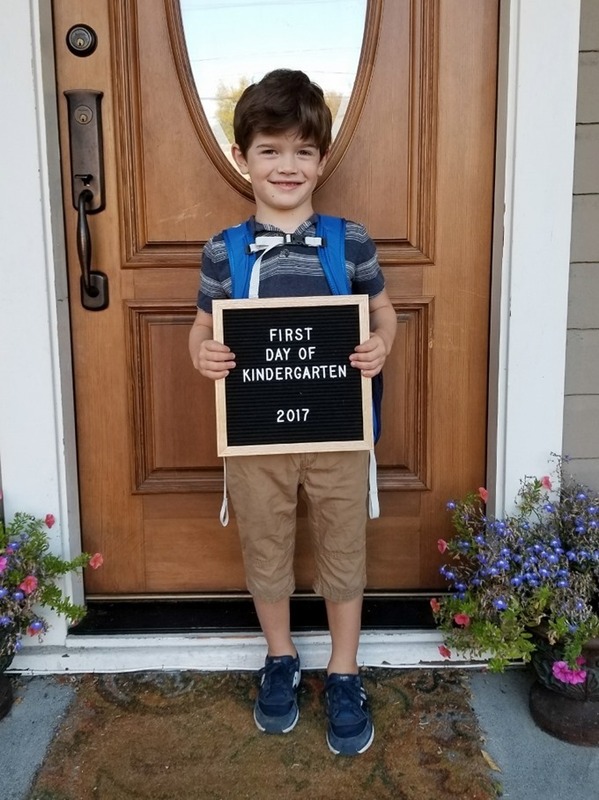 The month leading up to his start of kindergarten last year was such an emotional ride for me. But watching how much he’s grown and matured over the past year – I am at peace with all of it somehow. My little one starts kindergarten next year, and I know that’ll be rough. But I try and hold onto the moments I am with them instead of dwelling on all the time I don’t have with them. He will do great this year! Wow! Kindergarten! How time flies. Fall in New England is the best time of year. Beautiful pie by the way! Did you order his Marmott backpack online or purchased it locally? I’m having a hard time finding one for my kindergartener. REI Seattle didn’t have much in his size. My 2 year old daughter has started nursery school a couple of mornings a week, and it’s been such an emotional roller-coaster for me and my husband. I can completely imagine how you must feel having your son start “big school”! I hope the transition goes smoothly :-) Enjoy the extra free time! p.s. that blueberry pie looks divine! I know you are busy but I miss your posts! you always have the best recipes! Your boys are so precious! I love how proud Graham is of Cullen – so sweet. 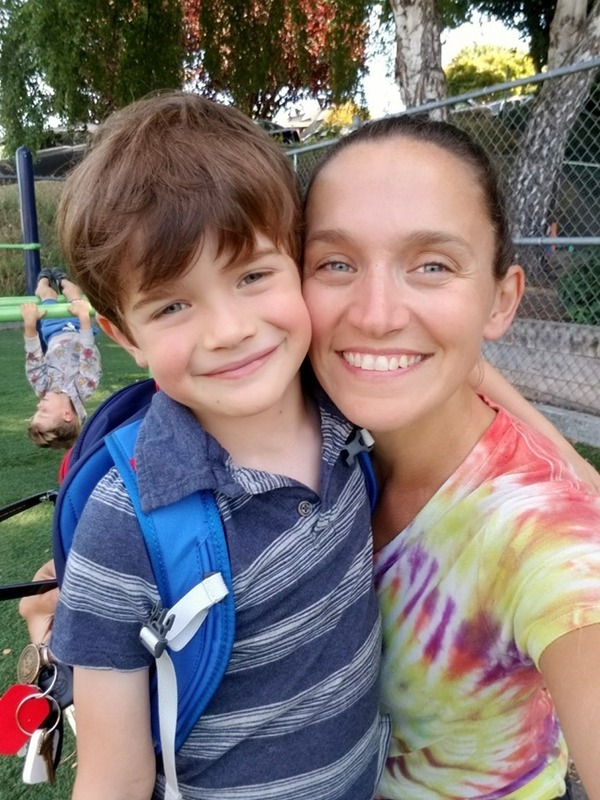 I have been reading your blog for so long, it is hard to believe Cullen is in kindergarten already. Thanks for letting us come along for the ride and always being so honest!